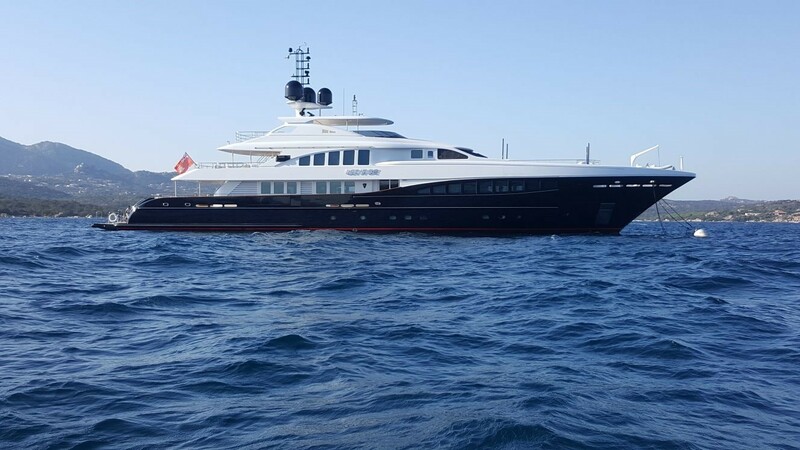 Built by the Dutch superyacht shipyard Heesen, Let It be, the 47.8 metre yacht designed by Omega Architects, was delivered in 2007 and fully refitted in 2016. 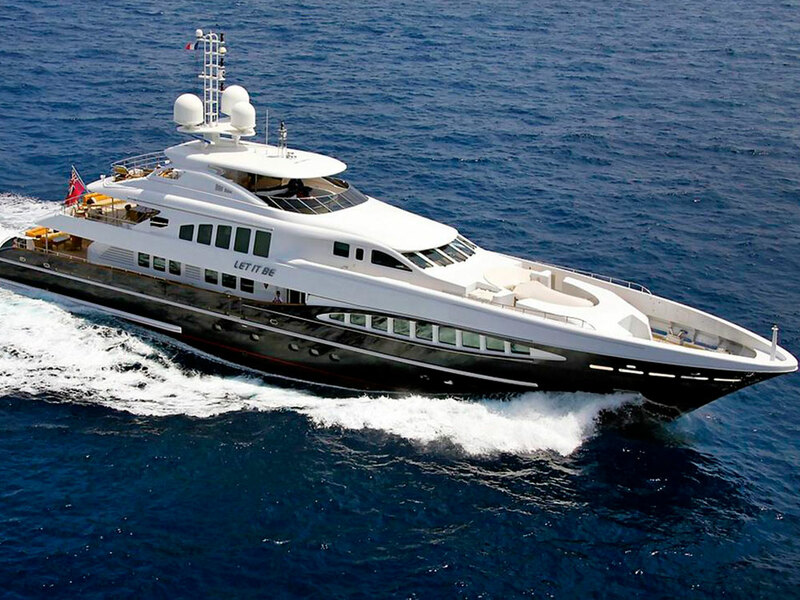 Let it Be offers wide and impressive deck areas thanks to her size. 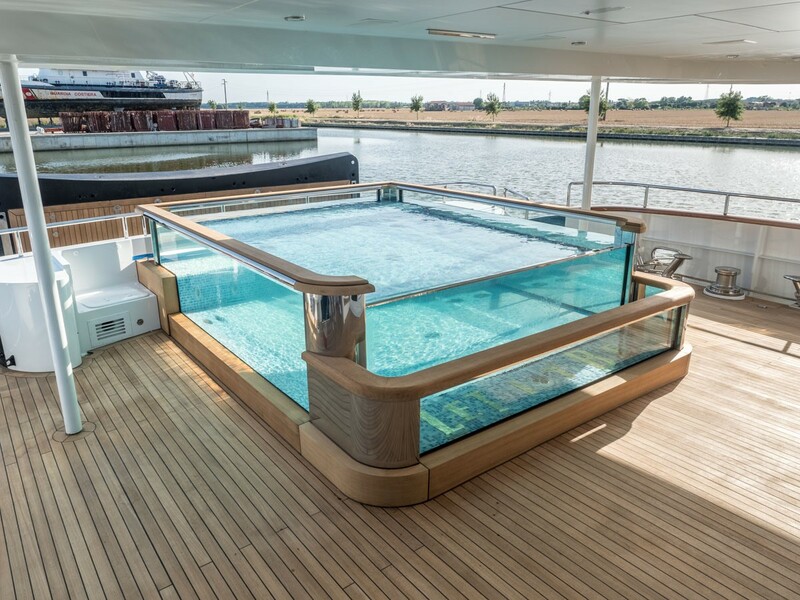 A large Jacuzzi on the sundeck, shaded dining area. 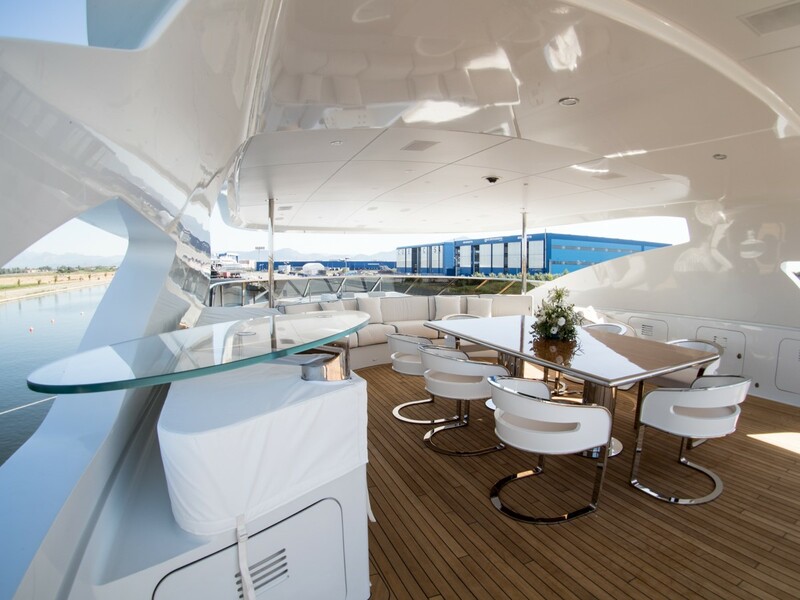 An additional sunbathing area lies forward of the bridge and provides stunning panoramas while underway. 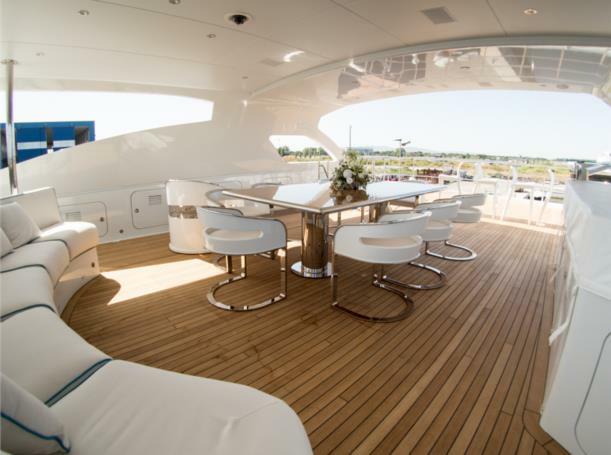 The main deck aft offers a more formal location for al fresco dining. 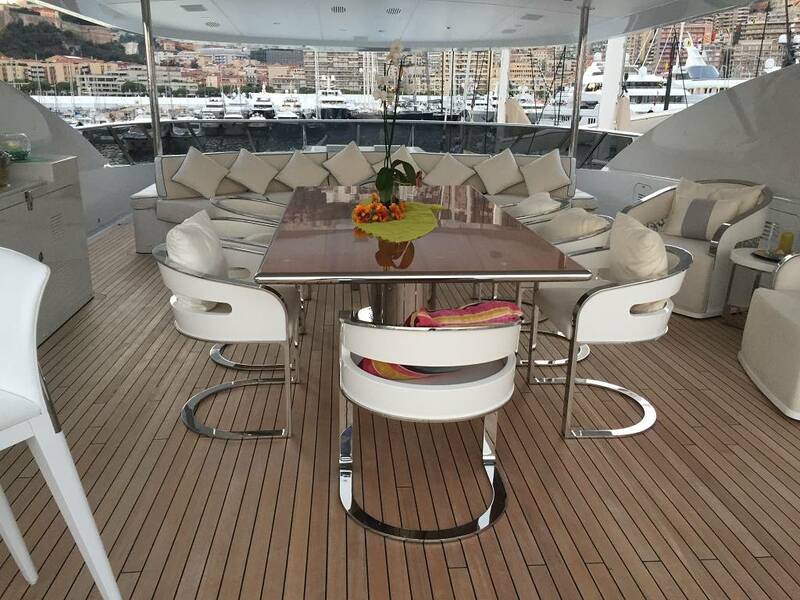 Let It Be accommodates up to 12 guests in six exclusive and comfortable cabins. 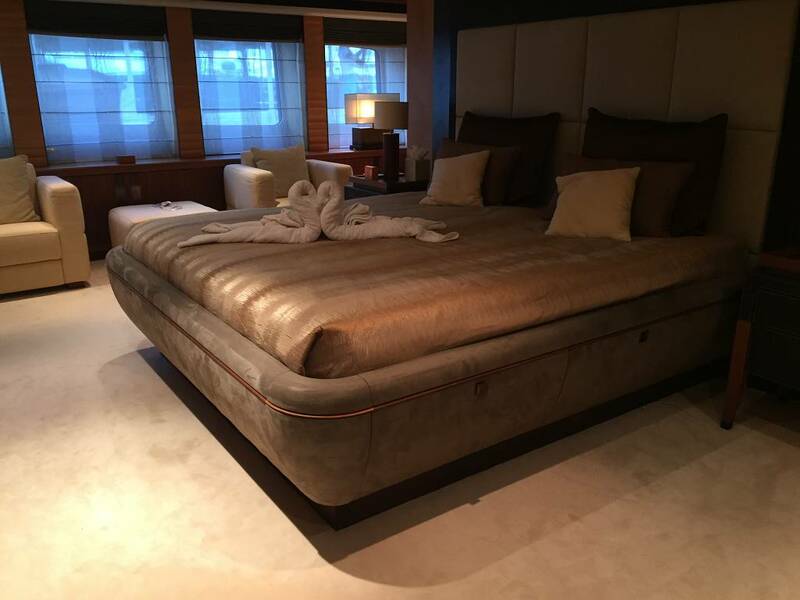 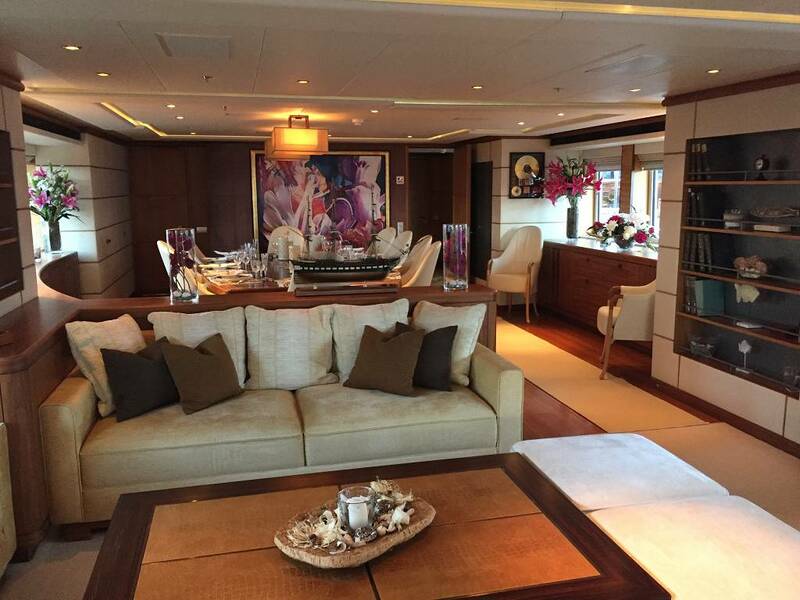 The interiors feature rose and mahogany woods and furnishings in beige, cream and blue. 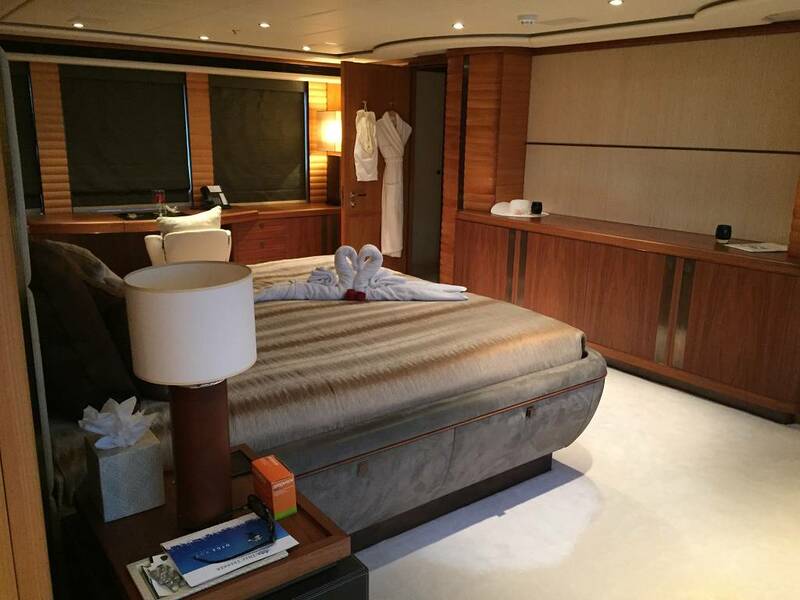 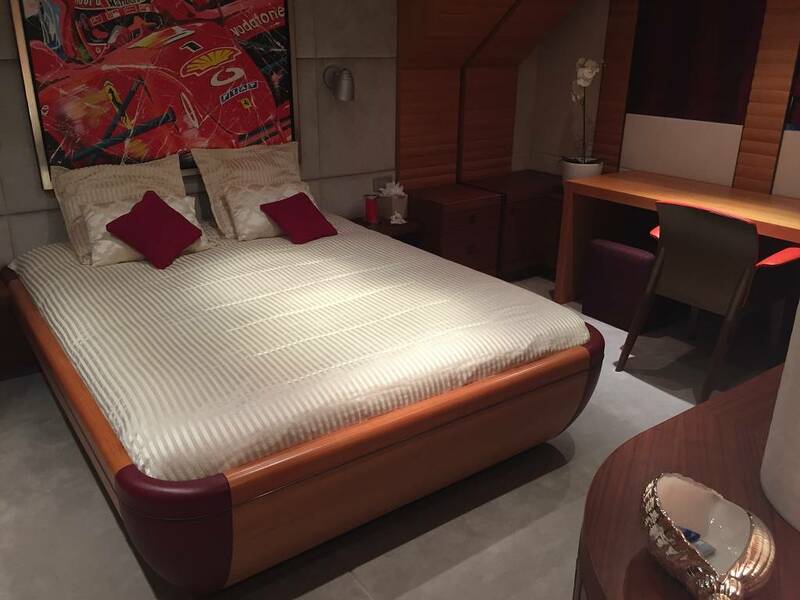 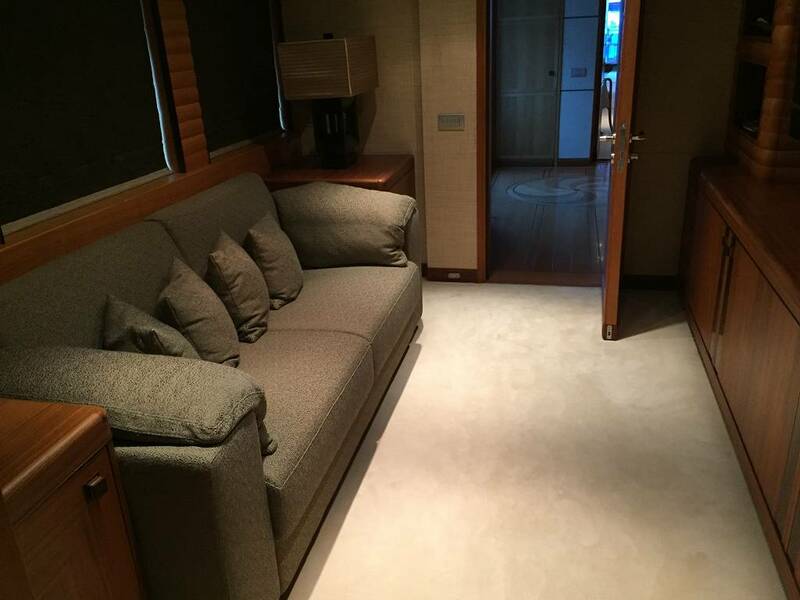 On the main deck a master suite features a private study, ensuite toilets and leather and rosewood walk-in closets. 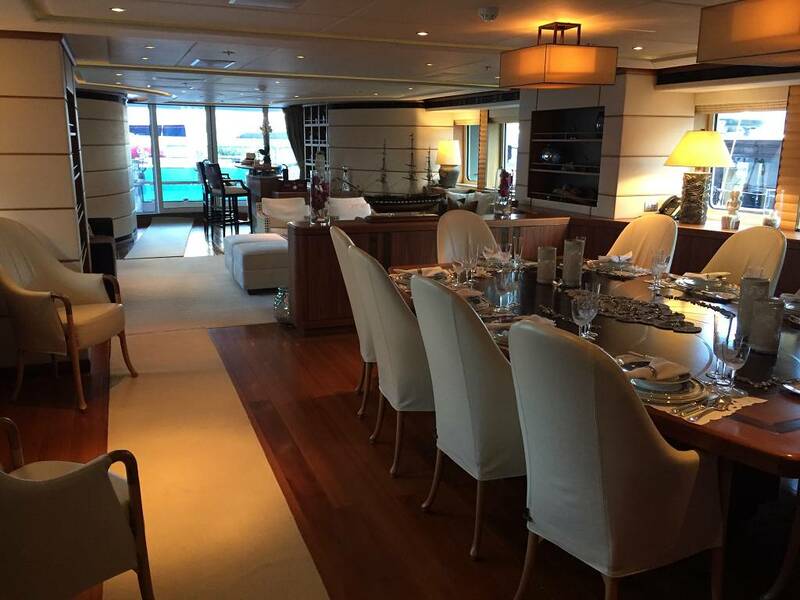 On the lower deck three double cabins and a twin cabin. 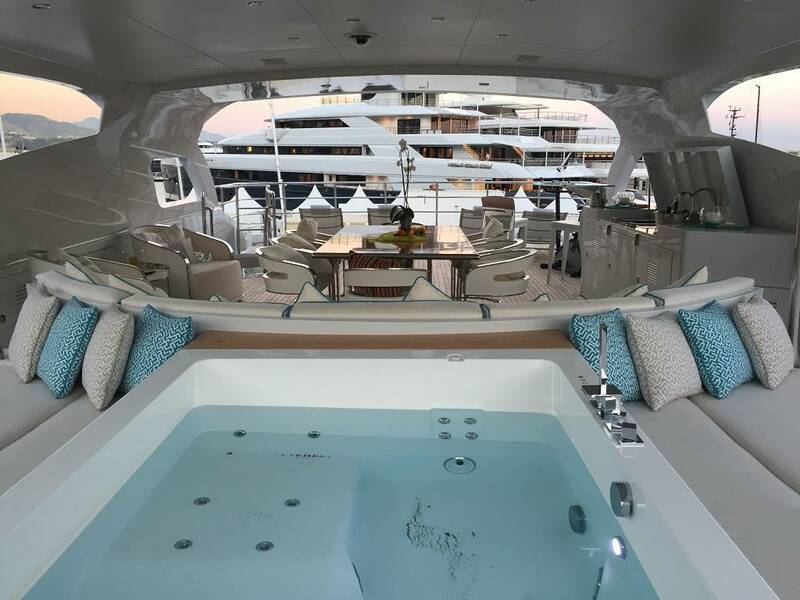 All ensuite toilets are onyx and the twin cabin features a Jacuzzi bath. 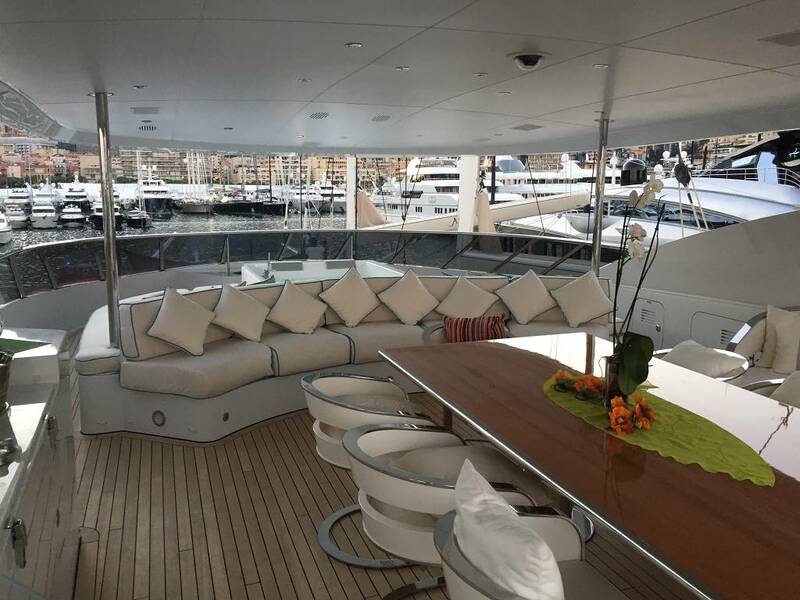 An additional double cabin on the upper deck.